Blueprint To Success – Page 2 – Constructing The Dimensions Of Your Dreams Through Music! We’ve Been Busy Constructing ….. The 2015 BTS Winter Recital! The last few months have been remarkable for BTS. BTS has spread its reach to a few schools in Fulton county, GA. In an effort to display the many talents of the BTS Kids!, The 1st BTS Winter Recital will take place this Sunday, December 13, 2015 @ North Springs UMC. This recital will include students playing Trumpet, Piano, &; Trombone. For RSVP inquiries, please fill out this Contact Form. Leave a comment We’ve Been Busy Constructing ….. The 2015 BTS Winter Recital! 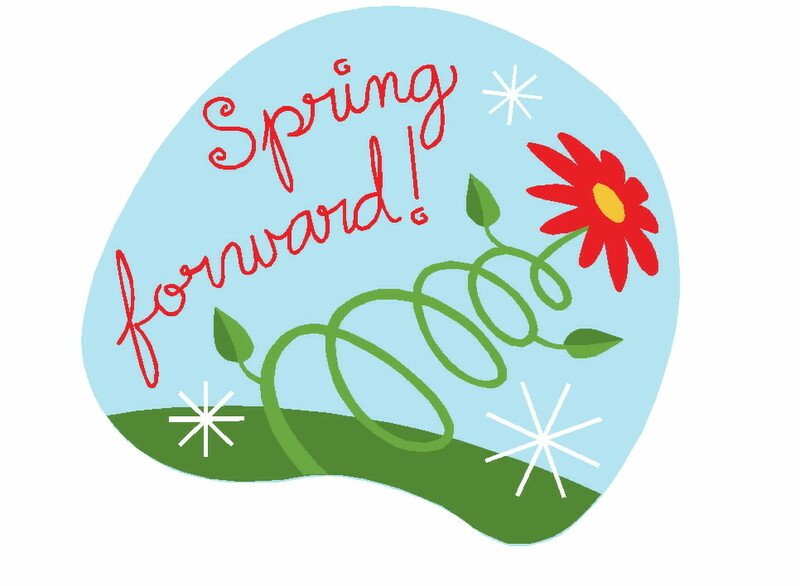 BTS is proud to announce our “Spring Forward Into Music” campaign with the unveiling of our Groupon for Spanish, Audio Production, Music Theory, Brass, Woodwind, And Piano Lessons! BTS allows for any woman, man, or child to take themselves seriously and enjoy a discounted introductory rate. With options beginning as low as $54, enjoy either one or two months of lessons with Blueprint To Success and change your life today! Summer’s Here! Don’t Give Into Boredom, Save Here! Although summer’s here, doesn’t mean we have to go dull or allow or children to stop using their brains. Visit us on Groupon to keep everyone engaged and save some money with BTS this summer! Starting @ age 5, adults are welcome too! Leave a comment Summer’s Here! Don’t Give Into Boredom, Save Here! BTS Presents: New Services! Check Us Out! Leave a comment BTS Presents: New Services! Check Us Out! BTS sends a BIG congratulations to one of our BTS Kids! piano students, Harley Hacker! Great job at your very first recital! We can’t wait for the next one! School’s Out? Keep Your Kids Sharp With BTS This Summer!! School’s out? Glad your kids get a break but still concerned with your child’s educational development? Keep your kids learning and having fun all summer long with music or spanish lessons with BTS. We offer Piano, Spanish, Music Theory, Audio Production, or any Brass/Woodwind instruments. Check out our Groupon for more exclusive deals! Limited quantities available! Leave a comment School’s Out? Keep Your Kids Sharp With BTS This Summer!! Exclusive Groupon Deal Extended Through Weekend! Save an extra 20% off local businesses this weekend Only through Groupon! Learn from the best! Spanish, Recording, Music Theory and All Woodwind Instrument Lessons available NOW! Offer ends 03.09.14 @ Midnight! Leave a comment Exclusive Groupon Deal Extended Through Weekend! Groupon has an exclusive deal that ends today! Save 20% when you #support local businesses! Shop #BTS today! Leave a comment Exclusive 24-Hr Groupon Deal! Got Love On The Brain? We Do Too! Valentine’s Day is coming up and we’ve got love to spread to our clients. Schedule a recording session or private lesson of any kind (Spanish, Piano, Brass, or Woodwind) during the month of February and be entered in the “BTS Kids 2014 Valentine’s Day Giveaway” for a chance to win a special prize! Session or lesson must be scheduled on or before February 28th to be considered for the giveaway. 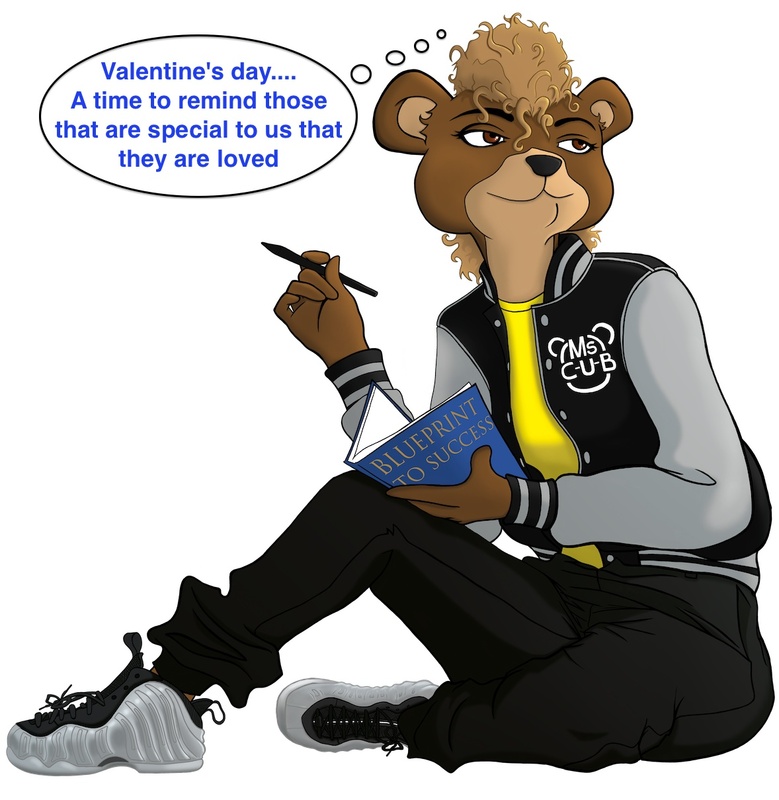 Happy Valentine’s Day to all and Enjoy the rest of your Black History Month! Leave a comment Got Love On The Brain? We Do Too! 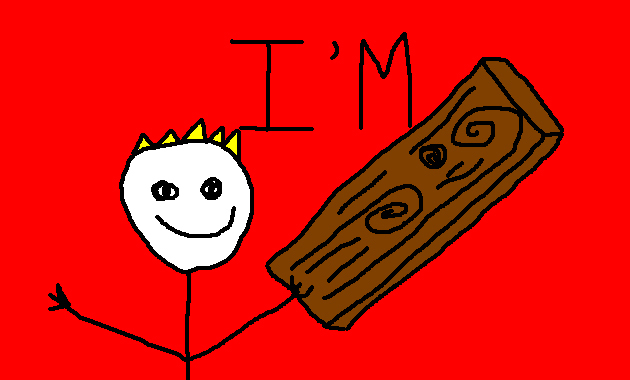 Studies show that most people that begin speaking so enthusiastically the last two weeks of the year are already off track by the second month of the year. Make this new year just what its meant to be, A New You. Starting in 2014, Blueprint To Success has launched our new entity BTS Kids and a new service… Beginner Piano! At this time, Blueprint To Success is checking in on you and here to offer an exclusive deal to continue to motivate you throughout your journey. Pick any of our Blueprint To Success services including Recording, Brass, Piano, Spanish or Music Theory Lessons and receive discounted Groupon pricing for a limited time! 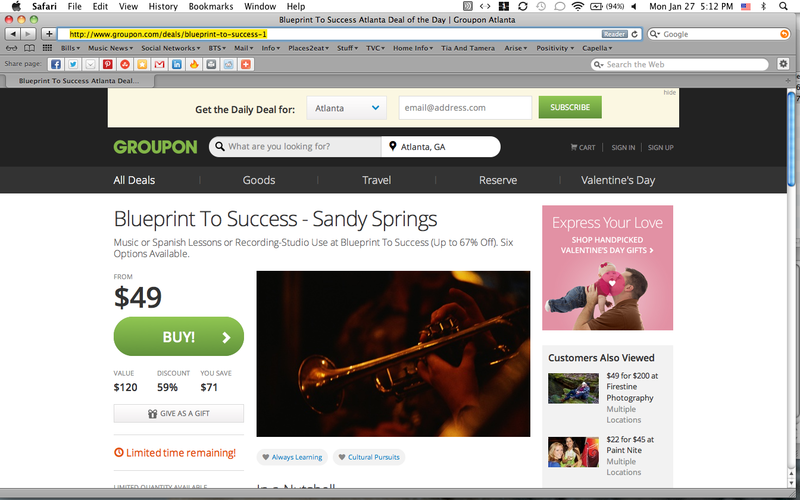 Blueprint To Success partners with Groupon as Atlanta’s Deal of the Day to continue to motivate you throughout 2014! Lets Keep #Werking!